After last week’s brutal Brexit bashing in Salzburg, it was just another normal cabinet meeting, says Number 10. Minister after minister arrived refusing the invitations to comment on Chequers or the prospect of the opposition backing some form of “People’s Vote” on the deal. Only when the Chief Secretary to the Treasury Liz Truss appeared at the Number 10 door did a minister say “yes” – Chequers was still on track and “no”, she didn’t back another referendum. And there are other options floating around her party. A question shouted to the Environment Secretary Michael Gove about whether he secretly backed a Norway-style deal seemed to elicit an unusual smile from the leading Brexiter. It is the talk of Conservative MPs. Inside, there was a discussion on whether EU citizens should be offered preferential access to UK addressed by the chair of the Migration Advisory Commission, and if not, whether free access would last another three years. Prime Minister Theresa May stands and delivers a message to the EU about respect and rigidity within our policies. Post-Salzburg, naturally Chequers was discussed. 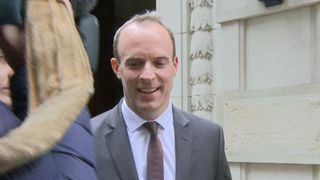 Brexit Secretary Dominic Raab described it as a “good healthy discussion” where the “PM made clear we’re going to keep calm and hold our nerve and press the EU on some of the criticisms they’ve made but also that they haven’t come up with any alternatives. At that point, the Brexit department released more no-deal preparation notices. It was perhaps the most severe set of these notices featuring impacts on aviation services, haulage licenses, timber sales, motor insurance abroad, and of course pet passports for travelling cats, dogs and ferrets. Mr Raab acknowledged the “risks to short term disruption” but said: “We’re well prepared whatever”. He delivers these conditional warnings with the cheery disposition of someone describing the adventure and daring of a scout excursion. Industry groups saw it very differently. The National Farmers Union said it was a “catastrophe”, while Food and Drink Federation warned the notices showed no deal was “grisly” and suggested extending Article 50. The British Retail Consortium said they showed a “very real possibility of chaos at ports” and an “explosion of red tape” – particularly on food labelling. The Federation of Small Businesses said it would be “damaging and dangerous” for small firms and would “stifle innovation”. The Road Haulage Association said it was a “recipe for post-Brexit chaos”, that it was “too little, too late” and that it was “astounded by the suggestion that hauliers should consider alternative modes of transport to move goods between the UK and the EU in the event of a no-deal Brexit”. Such stark consequences being planned for is part of the reason Labour has once again inched its Brexit policy in the direction of its Remain-backing membership – a so-called “People’s Vote” on the deal on the table if the PM’s deal is voted down and the government refuses to have an election. 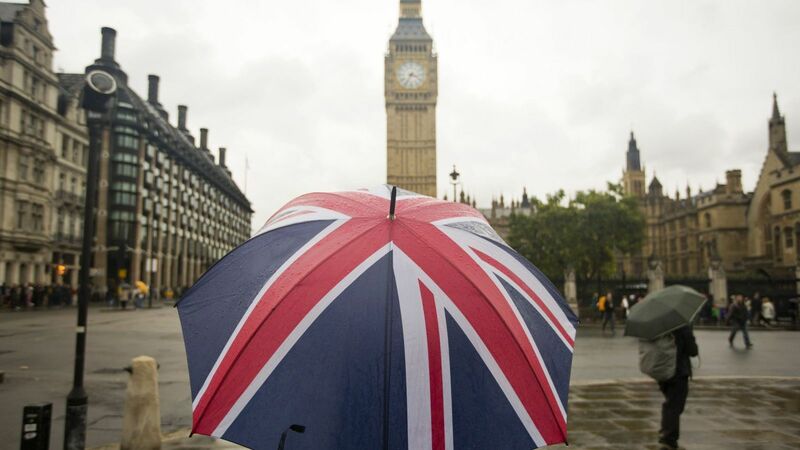 Meanwhile, back in Westminster, the Tory rebel alliance gathered to support a free market think tank’s alternative Brexit plan – with the Institute of Economic Affairs saying “no” to Chequers’ idea of continued alignment with single market rules for goods and agriculture, and “yes” to what was previously known as a Canada-style free trade agreement deal. 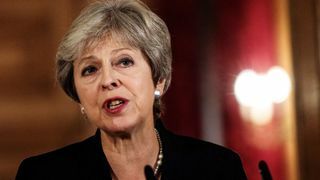 It was backed by Big Beast ex-ministers such as David Davis, who said “we’re in a cul-de-sac” on Chequers and the shenanigans in Salzburg were “entirely predictable”. It also gained Boris Johnson’s support, though not his attendance, at the launch. The most eye-catching claim came from author and Brexit superstar Shanker Singham, with his contacts in the US government saying a UK-US trade deal is made “off the table” by Chequers. The PM needs as much diplomacy internally as possible – so perhaps an imminent visit to the United Nations is just what the doctor ordered. The immediate challenge to get her new plans for the Irish border signed off domestically and by the European Union… or those notices risk becoming reality.